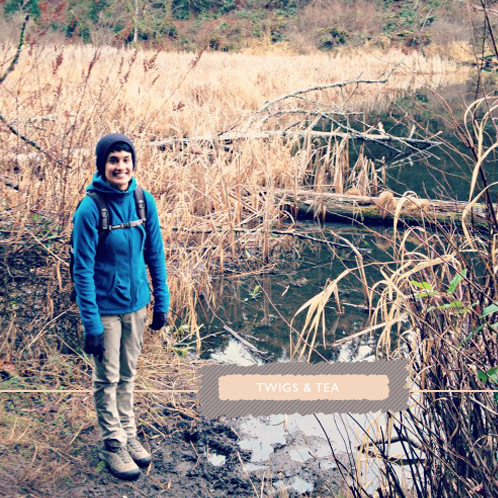 This week's Fancy Folk is Faith, who blogs over at Twigs & Tea. To enjoy my last several months in Washington state before I move to Minnesota to start anew. This year got off to kind of a tough start with plans changing abruptly and my hopes being dashed many times. But that's okay, because I've decided that 2013 is the year of change and I need to adapt to it. Some dreams for this year include running in a marathon, becoming a budgeting and money-saving master (I can't use the I'm a poor college student excuse anymore! ), become involved in my new community when I move, and to be successful in all things I try. A lazy day in the summer or going on an outdoor adventure! I love being able to take a whole day for myself, or with my boyfriend, or with my friends doing things I love--- lazing about in the sunshine or conquering mountains. Can I be a dog? I don't really identify with cats... I'd follow my boyfriend around. He knows how to deal with me in all my moods. Hm, I don't really have an obsession right now. I guess you could call me obsessed about learning more about the food we eat. I've spent a lot of time watching different documentaries on GMOs, food production and politics, and researching how to make certain foods and only buying the good stuff. It's important! I really think people should know more about what we eat everyday and try to make it better. AH I love karaoke thanks to my family's obsession with it, or Rock Band (their new obsession) which is basically karaoke but more awesome. Mr. Jones by Counting Crows, Orinoco Flow by Enya (don't ask), gimme shelter by the stones, anything Coldplay, Foo Fighters, blablabla I could go on. Anything really. I've found some of my favourite bloggers through similar features and I love to share other bloggers!